It’s not too late to register for the country’s biggest cycling festival, PRURide PH 2019! 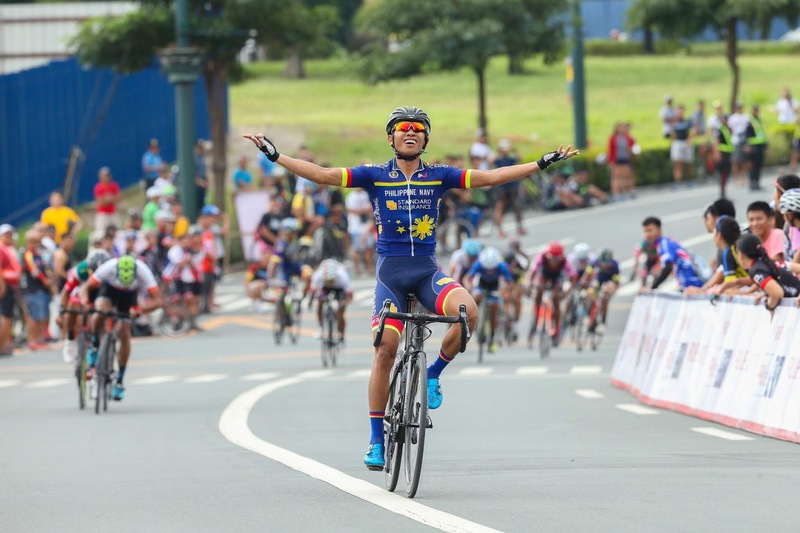 On Sunday, April 7, Sunday, all roads lead to Filinvest City, Alabang as hundreds of cyclists join the Criterium in the kick-off and compete to win cash prizes. The Criterium, fondly called as Crit, is a short action-packed circuit race that requires a series of strategically-timed sprints and sharp turns from one lap to another. Beginners, “weekend warriors”, and professional cyclists are expected to witness and experience a Formula 1 level of bike racing throughout the day. 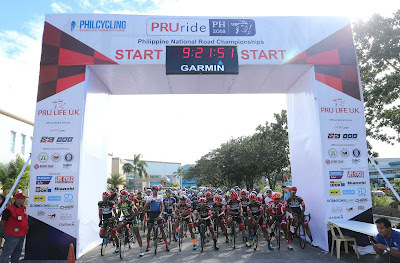 “We are excited to kick off PRURide PH 2019 with Criterium, one of the most thrilling cycling events because of its intensity and popularity among the crowds. It sets the tone for the entire festival as a gathering of all kinds of cyclists and reinforces Pru Life UK’s commitment to promoting a healthy and active lifestyle through cycling,” shares Allan Tumbaga, Pru Life UK Senior Vice President and Chief Customer Marketing Officer. Crit has a specified number of 1-2km laps on a closed circuit where various rider groups cycle at top speed. Instead of competing for a set distance, participants compete on a point system as accumulated from intermediate sprints and the final lap sprint. All these categories offer an exclusive PRURide PH 2019 jersey and finisher’s medal, as well as cash prizes for winners. Moreover, the whole family and barkada can enjoy fun activities for free, such as Zumba sessions, an inflatable playground, massage and health check stations, face paint booths, and a special performance from Rivermaya with Gracenote as front act. 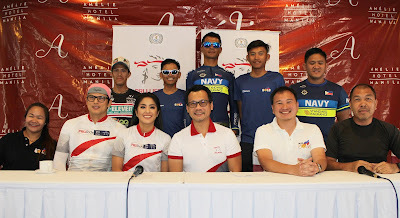 The leg will be followed by the PRUride UCI 2.2 Stage Race in Subic from May 24 to 26, as well as the competitive Masters Race and fun ride Gran Fondo 30, 60 and 100 kilometers on May 26. All these will kick-start at the Harbor Point Mall. British life insurer Pru Life UK holds the annual festival to promote cycling in the country and to encourage Filipinos to be healthy and fit. Now on its third year, PRURide PH partnered with cycling enthusiasts Zoren Legaspi and Gretchen Ho, and triathlete Kim Atienza as champions of its advocacy. Join PRURide PH ambassadors and other cyclists in action as they compete on April 7. Registration for Criterium is open until March 31 at pruride.ph. Established in 1996, Pru Life UK is the country's pioneer of insuravest or investment-linked life insurance products, and is one of the first life insurance companies approved to market US dollar-denominated investment-linked life insurance policies in the country. Since its establishment, Pru Life UK has expanded its reach to over 130 branches in the Philippines, with the biggest life agency force of more than 20,000 licensed agents, and has emerged as one of the top five life insurers. Pru Life UK holds headquarters in Uptown Bonifacio, Taguig City. Pru Life UK is a subsidiary of British financial services giant Prudential plc. Headquartered in the United Kingdom, Prudential plc has an extensive network of life insurance and mutual funds operations around the world covering Europe, the United States (US), Africa, and 14 markets in Asia. Its regional office, Prudential Corporation Asia, is based in Hong Kong. Prudential plc has over 26 million customers worldwide and manages £657 billion of assets as of 31 December 2018. Pru Life UK and Prudential plc are not affiliated with Prudential Financial, Inc. (a US-registered company), Philippine Prudential Life Insurance Company, Prudentialife Plans, Inc. or Prudential Guarantee and Assurance, Inc. (all Philippine-registered companies). Pru Life UK is a life insurance company and is not engaged in the business of selling pre-need plans.